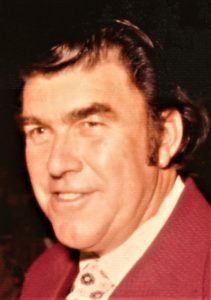 You are here: Home › Granville Sentinel › Obituaries › Obituary: Donald William Lourie, Sr.
West Rupert, VT-Donald William Lourie, Sr, 98, passed peacefully from this life on April 3, 2019 in Bella Vista, Arkansas. Donald is preceded in death by his parents, Allie May Peck and John T. Lourie, his wife June Huggins and sister Elsie Lourie Buck. Donald was born at home on March 3, 1921. He is survived by sisters Frances Campbell, Niagara Falls, NY; and Anna Jones, Topsham, Maine and brothers Arthur Lourie, Rupert, VT; Robert and Evan Lourie, Cambridge NY. Donald was a dairy farmer in West Rupert for many years and then worked at Merck Forest Foundation in Rupert for 20 years. His main work there included observation of animals and plants, teaching conservation techniques, logger, maintenance of roads. He taught Agriculture classes at Salem Washington Academy. Donald was active in Vermont Farm Bureau and 4-H clubs. He and June raised six children on the dairy farm. Donald (Talitha), Springdale, Arkansas; Peggy Hendry (David), Whitesboro, Texas; Maye Johnson (Tom), Goldendale, Washington; Demus, Everson, Washington; David (Joyce), Perth, Australia and Dan, Kent, Washington. Don has 16 grandchildren and 38 great grandchildren. Visitation with family will be Monday, April 22 from 5 -7 pm at McClellan-Gariepy Funeral Home, 19 East Broadway, Salem, NY. Funeral services will be at 11 AM Tuesday, April 23, 2019 at the Rupert Congregational Church in Rupert, Vermont. Burial will be next to the church in the Rupert Cemetery. A lunch for guests and family will be at the Rupert Firehouse Community Building after the burial. Donations may be made in Don’s memory to the Rupert Congregational Church and the Rupert Historical Society.